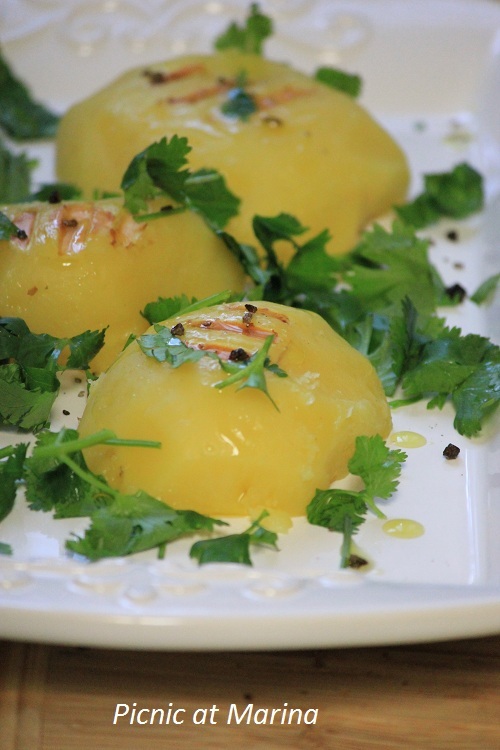 Grilled potatoes with cilantro and smoked salt. Note: potatoes were boiled first, then grilled. I finally got something to grill on, nothing fancy or big, just a simple Breville panini grill, that I lovely call "my crocodile". 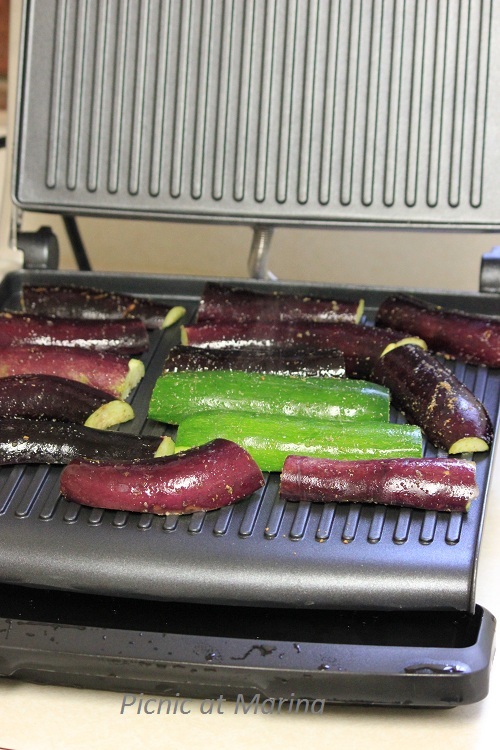 As soon as I unpacked it from the box, I put it to work: I was craving grilled vegetables all summer long. In went eggplants (aubergine), zucchinis (courgette), and jalapeno peppers. Then I grilled some chicken breast for my meat lovers. Then it was time for a grilled cheese sandwich with grilled vegetables and grilled onions. And for dinner I made grilled potatoes with smoked salt and cilantro to accompany lentil and vegetables entree. 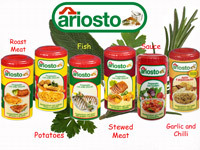 Some time ago I received a free samples from Ariosto and have been trying it on different vegetables, legumes, and meats. This time for both, lentil and vegetables, I used Ariosto seasoning for potatoes, which has a wonderful combination of salt, garlic, rosemary, sage, juniper, basil, marjoram, oregano, laurel, coriander and parsley. I need to confess: this is my second Breville panini grill. First one I sold when we were moving cross-country: big mistake on my side! Each time I saw this grill in a magazine or at Williams Sonoma store, I would blame myself for selling it. About a year ago Breville came out on the market with a new version, 25% larger and improved (although to me there wasn't much to improve, I loved my old crocodile! ), and I couldn't find a peace before I had it again. So when I received a Williams Sonoma gift card for my birthday, I knew what it's going to be, and a happy smile shone on my face. - super easy to clean. What do you liked grilled? Everything you grilled looks great! My favorite thing would probably be cheese sandwiches. I'm embarrassed to say I've got a panini grill and have only used it once. You have inspired me to use it this fall after grilling outside. Thanks! 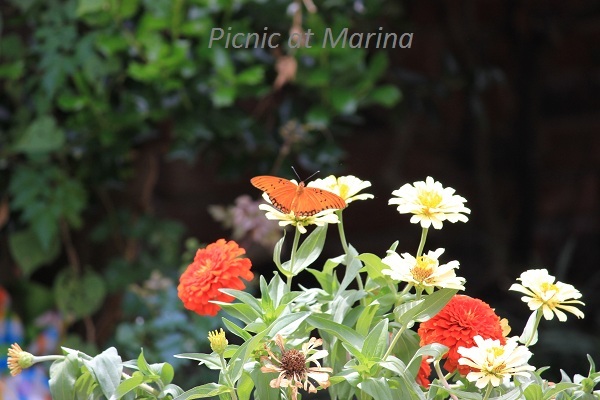 Gorgeous flower and butterfly pic too! Sounds like a cool piece of kitchen equipment to own. Like Pam I love the grill cheese sandwich. Neat! I've never had an indoor grill like that - I can imagine it coming in handy for tons of things. Great looking grilled cheese sandwich there! And I'm not sure if I've ever had a jalapeno pepper grilled - nice idea. Congrats on your new grill - enjoy! Marina, I would love to grill so many fruits and vegetables, but unfortunately we don't have a grill. Maybe when we will have a new deck, in about couple of weeks it should be complete. Your new toy looking so good-) I just don't have any more space in my kitchen for new equipment. I grilled some plums today, come see it! :) I hope you will share some photos of your new deck when it's done! You know what's crazy, I have a panini maker and I have never done anything on it but make paninis...I will have to try chicken and vegies. They look great! I love everything grilled Marina! From meats and fish to fruits and veggies. It's all good! I've never grilled boiled potatoes before, but yours look so delicious that I must try it. I have never used my panini grill for "grilling". What a fabulous idea! 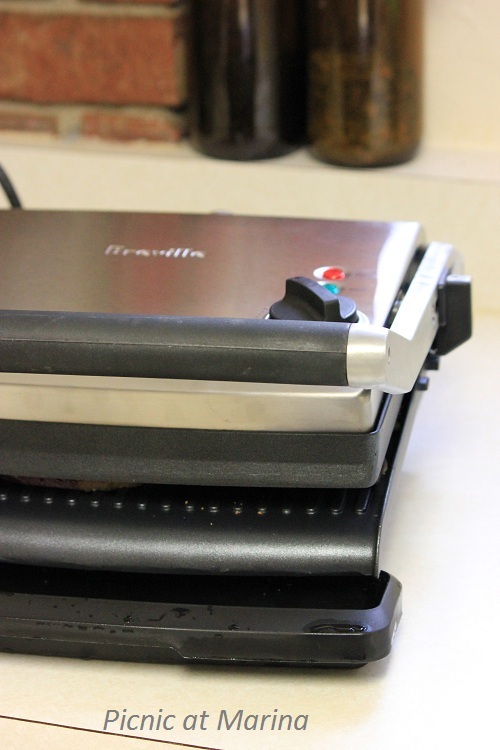 Panini grills are so much fun and you sure know how to put your Breville 'crocodile' to good use! I've got to try grilling vegetables on mine as you did! That panino looks fabulous! Wow that grilled cheese looks Amazing! New cooking appliances are so much fun! I love grilled food, and that's some feast! Nice! I, too, have an indoor gill/griddle and absolutely love it! Even a plain lunchmeat sandwich is elevated when there are grill marks on the bread. You certainly did initiate yours in stye. Everything looks delicious! It looks as though you are going to have fun experimenting with your new grill. What a fabulous gadget to have for the kitchen! I;m jealous... The hubs has three outdoor grills that he uses all summer - he does summer cooking; I do winter cooking. But that I could use... Veggies look fantastic! Hi Marina, those veggies look fantastic. Glad you bought another panini maker. Those things work so wel, I have even grilled tofu on mine. Looks like we have the same grill, cool. I must pull mine out of the storage rack and crank it up. My goodness this food looks SO good. Good thing I tracked back to your previous post...I would have missed all the amazing grilled goodies. 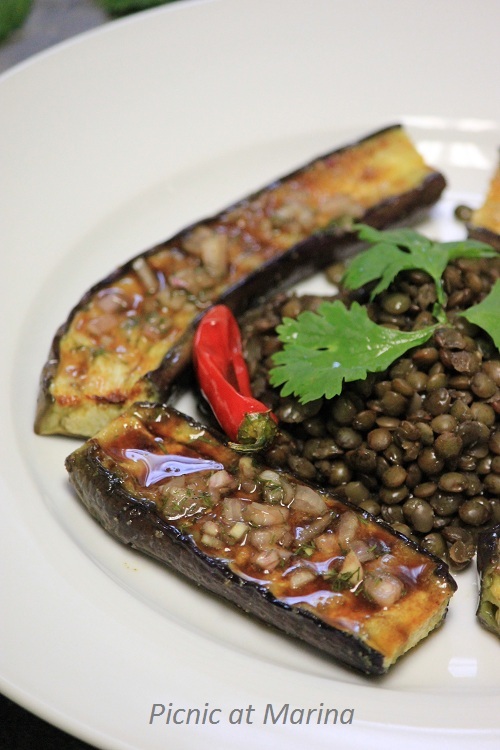 Love the grilled eggplants paired with the lentils. The photos are lovely, and so are the presentations. A word of "curiosity"...how is it that you are able to grill other things, then panini, which by the way is One separate post...soooo incredibly delicious! 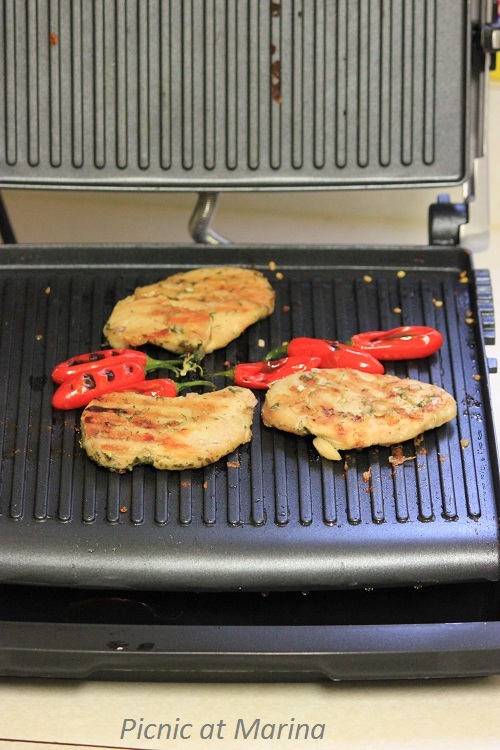 The George Foreman grill has deeper grooves to accommodate meats and vegetables, and leave deep grooves in them. My panini grill, which is almost identical to yours, I make grilled sandwiches, or just simply toast a slice of bread in minutes! 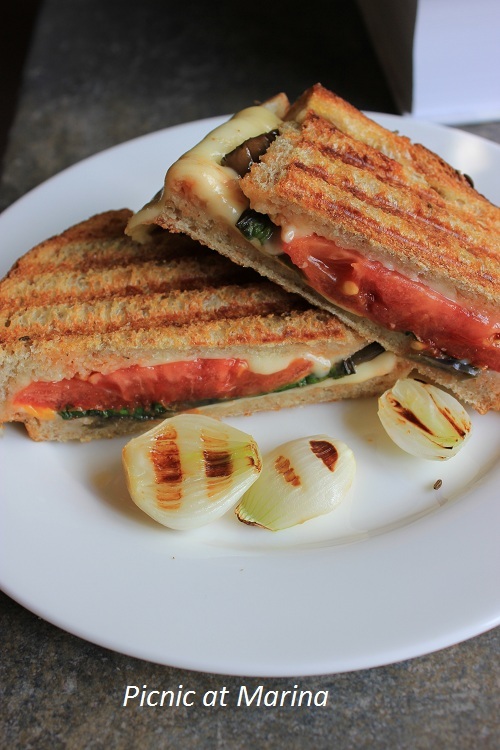 oh that grilled cheese with veggies sounds and looks wonderful!